The Ben Hill County Sheriff's Office held a press conference Monday afternoon to discuss the capture of Bo Dukes. 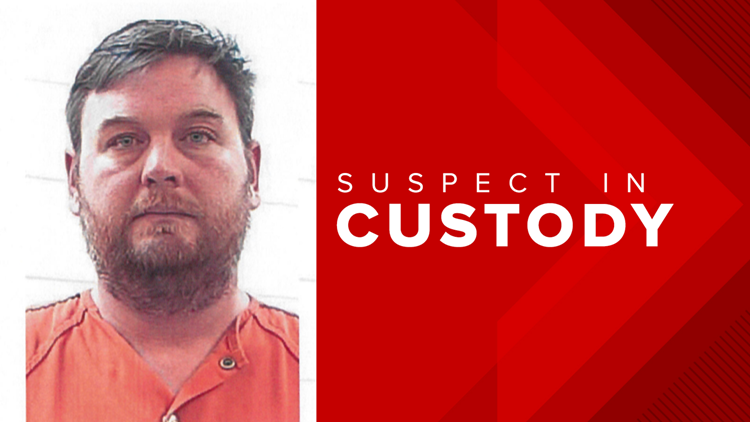 Dukes is the man accused of hiding Tara Grinstead's body in 2005, as well as allegedly sexually assaulting two women at gunpoint in Bonaire on New Year's Day. He led authorities on a four-day manhunt, where he was finally captured on Saturday in Ocilla in Irwin County. He was transported to Houston County Detention Center on Sunday. District Attorney Brad Rigby and Sheriff Lee Cone led the conference. After a statewide BOLO was issued for Dukes, Cone says tips started coming into his office from Wilcox County and his own county that he was in area. "We investigated every tip, every tip that came in, and we also carried it a little further and actually looked in general areas and in areas that he would only be familiar with, and that a lot of other people would not know about," Cone said. It was not until Saturday that Cone says they received a tip from a confidential informant that confirmed Dukes had entered Ben Hill County, was unarmed and wanted to turn himself in to the Irwin County Sheriff's Office. Cone says Dukes said he had to stop for gas first, or he would not make it to Irwin County. Law enforcement was able to confirm he had stopped at a convenience store for gas in Fitzgerald. Their next step was to catch up with him on his way to Irwin County, make visual contact and possibly trail him to the sheriff's office. Cone says they knew Dukes was continuing to head south, and that a family member talked him into coming to their home and turning himself in. After an officer watching the home saw Dukes go inside, Irwin County deputies responded and made the arrest without incident -- something Cone calls a blessing. "[Dukes] totally gave up and turned himself completely over to them," Cone said. "This is actually what we call a good day." Cone says they do not know where Dukes was in the few days before he was arrested and if he committed any additional crimes. Rigby thanked all law enforcement involved in Dukes' capture including the sheriff's offices in Ben Hill, Wilcox and Irwin Counties, Georgia State Patrol, the U.S. Marshals Fugitive Task Force and the Warner Robins Police Department. As far as legal proceedings, Rigby says federal order for Dukes comes first. State proceedings will follow afterwards.